The Rialto Square Theatre is your home for the holidays in the Joliet area, as the historic location is hosting several holiday themed events in the upcoming months. The holiday season kicks off with a very special family concert, featuring AgneG, a 16-year-old classical artist that has appeared on NBC as well as graced the stage at Carnegie Hall. Opening the concert will be the angelic voices of the Cathedral Children's Choir and Joliet All City Choir, with special appearances by Michelle Gliottoni Rodriegues (soprano), Holly Keenon (violinist) and Kyle Minett (bass/baritone). 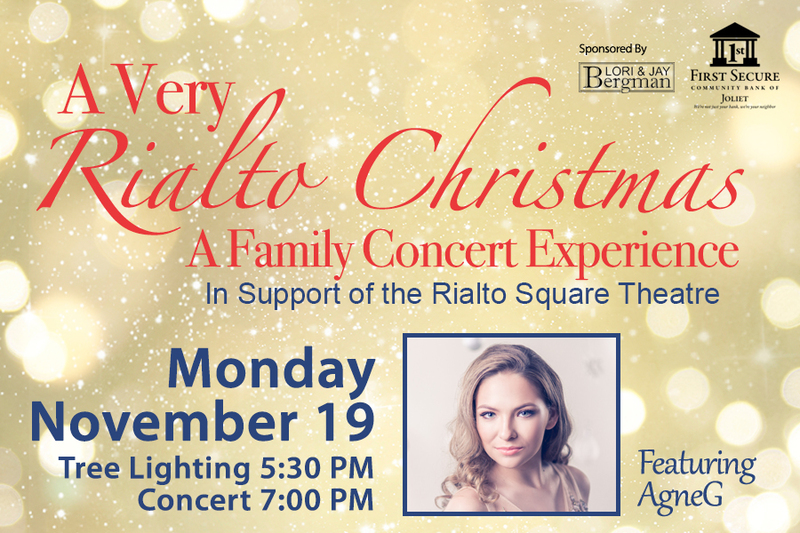 Find out more at https://rialtosquare.com/event/a-very-rialto-christmas-a-family-concert-experience/. 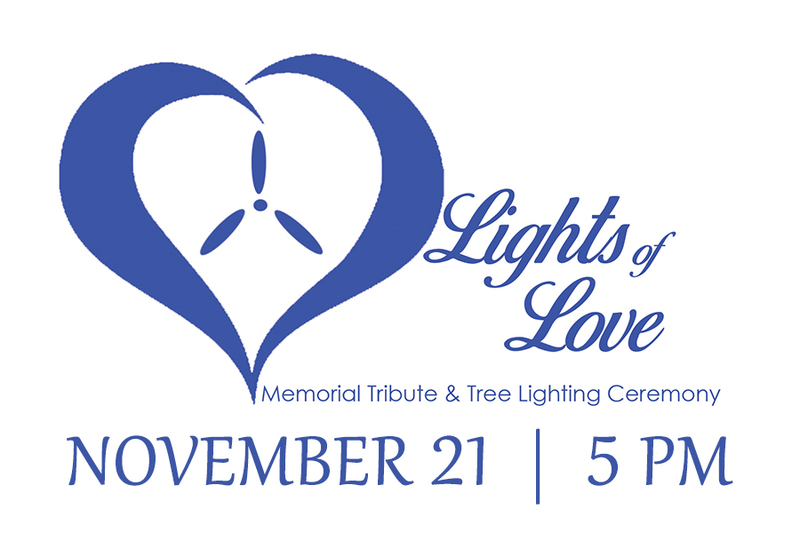 The Joliet Area Community Hospice Lights of Love tree lighting will take place on Wednesday, November 21 at 5pm. The ceremony is a time to honor and remember family and friends during the holiday season. Contact the Joliet Area Community Hospice for more information at 815-740-4104. This Rialto tradition continues, featuring a special brunch of delicious food and family fun. Don't miss an appearance by St. Nick himself AND a kepsake teddy bear! Tickets are required and space will fill up quickly. Find out more by about the 9:30am show by clicking here, or the 12:30 show by clicking here. Don't miss the showing of this Holiday masterpiece on the big screen! Tom Hanks and director Robert Zemeckis reunite for “Polar Express,” an inspiring adventure based on the beloved children’s book by Chris Van Allsburg. When a doubting young boy takes an extraordinary train ride to the North Pole, he embarks on a journey of self-discovery that shows him that the wonder of life never fades for those who believe. Find out more at https://rialtosquare.com/event/the-polar-express/. 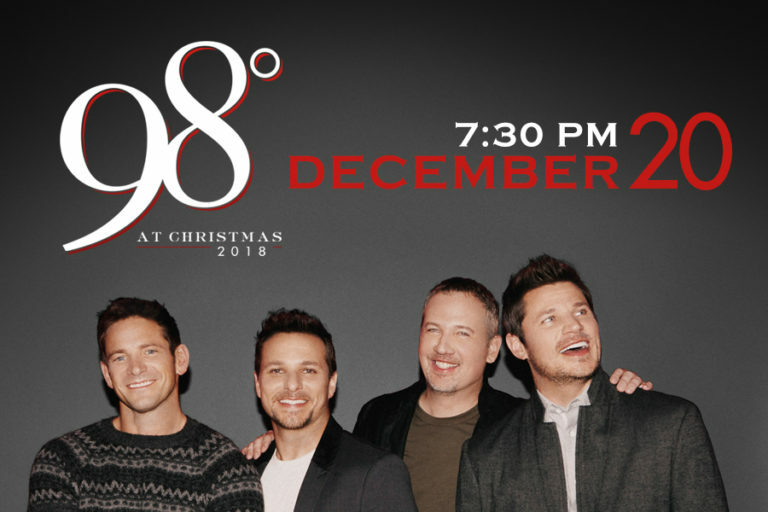 A mixture of traditional and contemporary songs—including religious, romantic and fun holiday tunes—makes up the set list, which includes songs from the Oaks’ seven bestselling Christmas CDs. A highlight of the evening is the much-loved ‘rocking chair’ segment where each BOY rocks by the fireplace and shares personal thoughts about Christmas. 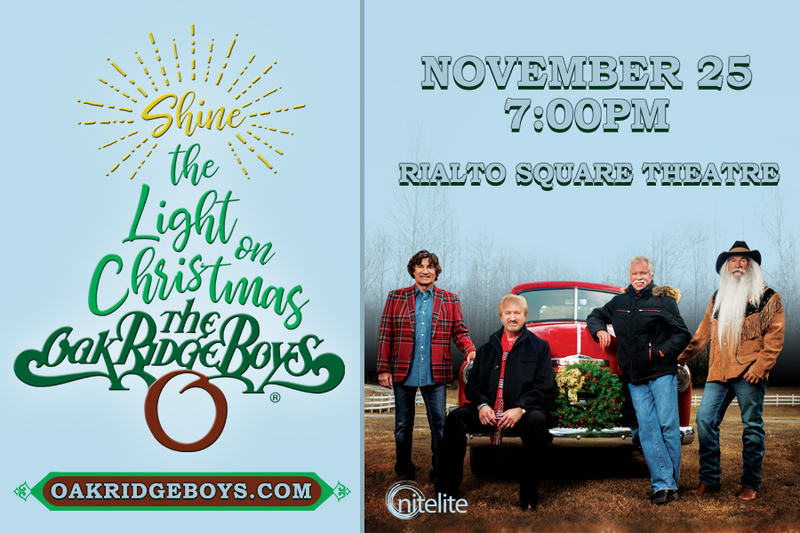 Find out more at https://rialtosquare.com/event/the-oak-ridge-boys-christmas-celebration-tour-2018/. In a recording career that spans almost three decades and 23 albums, Grammy Award-winning saxophonist Kenny G has grafted elements of R&B, pop, and Latin to a jazz foundation solidifying his reputation as the premiere artist in contemporary jazz. 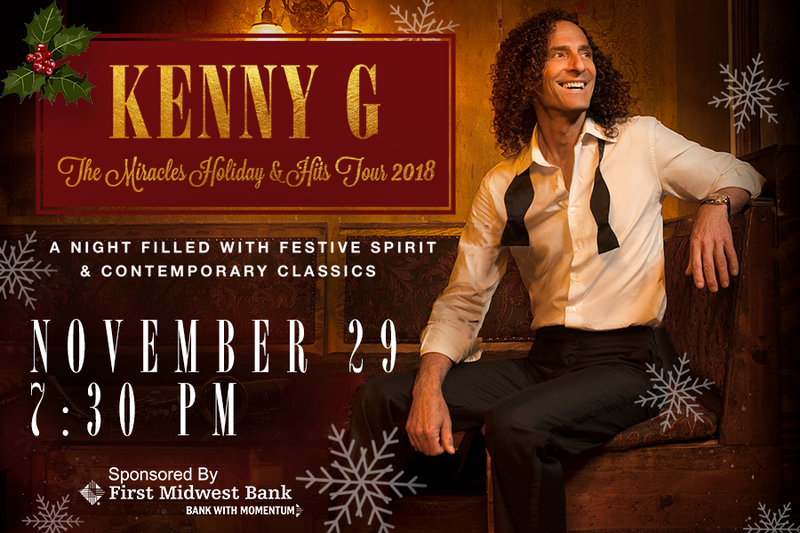 Find out more at https://rialtosquare.com/event/kenny-g-the-miracle-holiday-hits-tour/. Catch this Christmas classic on the big screen! 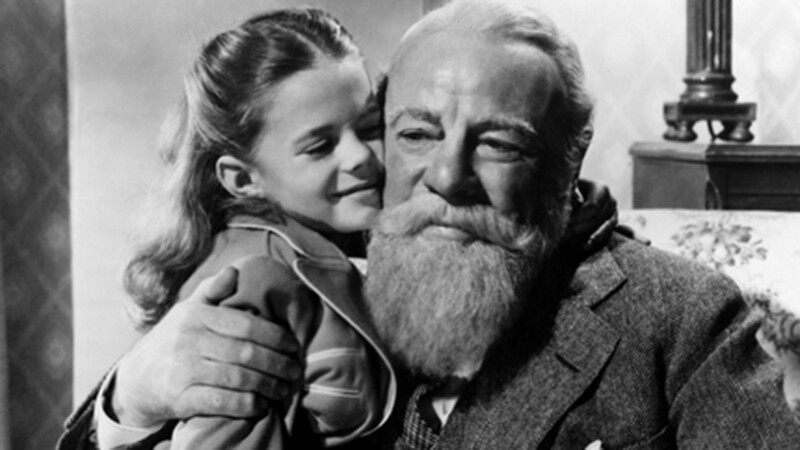 An old man going by the name of Kris Kringle (Edmund Gwenn) fills in for an intoxicated Santa in Macy's annual Thanksgiving Day parade. Kringle proves to be such a hit that he is soon appearing regularly at the chain's main store in midtown Manhattan. Find out more at https://rialtosquare.com/event/miracle-on-34th-street/. Von Heidecke’s Chicago Festival Ballet presents this holiday favorite fairytale ballet that is perfect for the entire family. The magical production features lavish costumes, exquisite sets, including a Christmas tree that grows before your eyes, and sensational choreography by ballet master, Kenneth von Heidecke. Journey through the land of whirling snowflakes and visit the kingdom of the Sugar Plum Fairy. This is one holiday tradition you won’t want to miss. 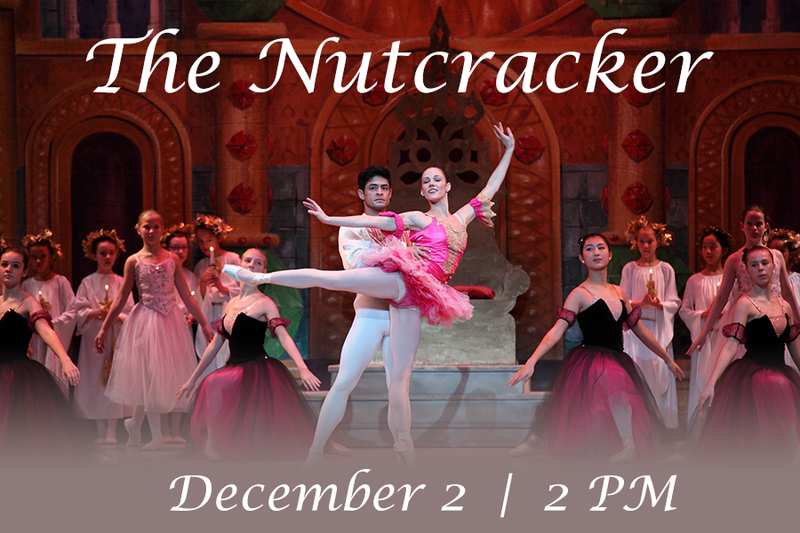 Find out more at https://rialtosquare.com/event/the-nutcracker/. NOËL, set in modern day London, tells a heartwarming tale of a little girl (Noël), who is preparing for her starring role in a school Christmas play when her mother suddenly disappears. To avoid being taken into care, Noël keeps her mother’s disappearance a secret and embarks alone on a quest to find her. Along the way, she befriends a diverse group of characters that accompany on her journey. Noël’s bright innocence and unwavering belief in finding her mother, inspires her new friends to embrace life, find love and celebrate the true meaning of Christmas. Find out more at https://rialtosquare.com/event/noel-a-holiday-musical/. Enjoy the sounds of the season and a delicious catered lunch at the Rialto Square Theatre while local school choirs serenade you. Then move into the Theatre where members of the Joliet Area Theatre Organ Enthusiast Society will play your favorite holiday carols on the famous Barton Grand Theatre Pipe Organ. 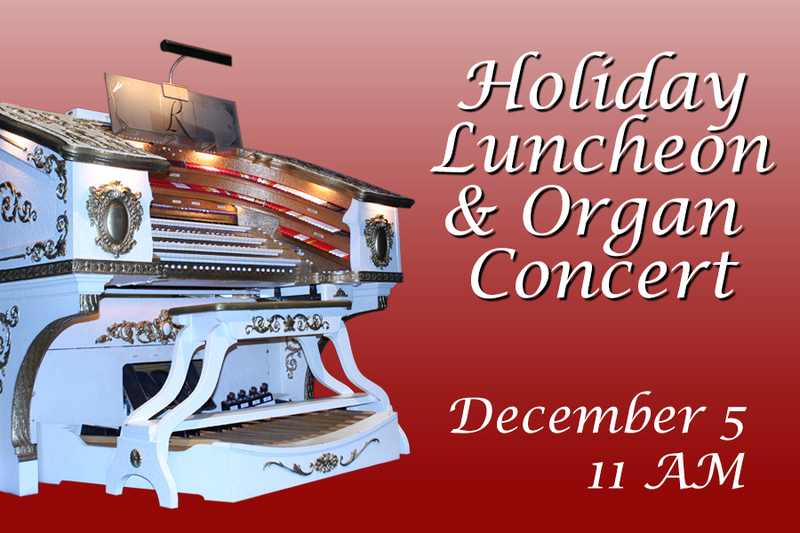 Find out more at https://rialtosquare.com/event/holiday-luncheon-organ-concert/. A holiday entertainment blockbuster set to dazzle audiences of all ages. Featuring the best talent from around the globe, A Magical Cirque Christmas has it all – jaw-dropping magic, breathtaking circus acts, and the most angelic voices singing your favorite Christmas carols with incredible live musicians on stage. 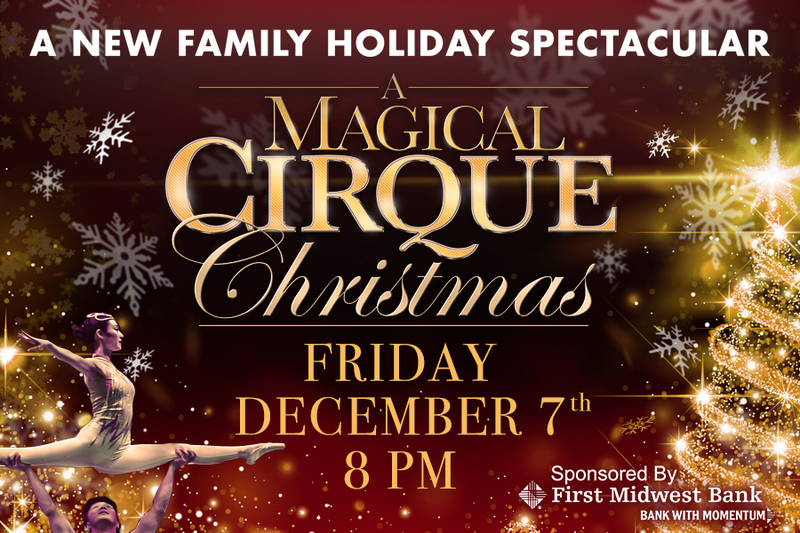 Find out more at https://rialtosquare.com/event/a-magical-cirque-christmas/. An annual holiday tradition at the Rialto Square Theatre-- join WJOL for an evening you won’t forget, as local radio talents perform the Christmas classic, It’s A Wonderful Life live from the Rialto Stage, as it broadcasts on WJOL simultaneously. 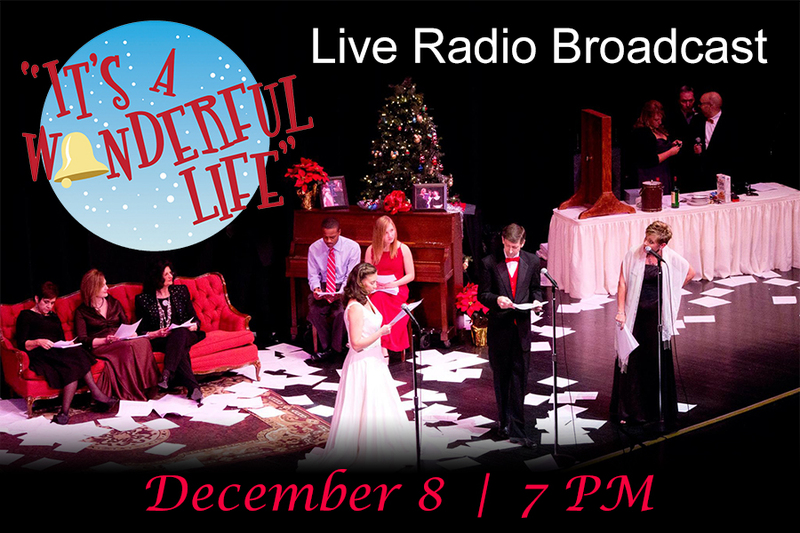 Find out more at https://rialtosquare.com/event/its-a-wonderful-life-live-radio-broadcast/. 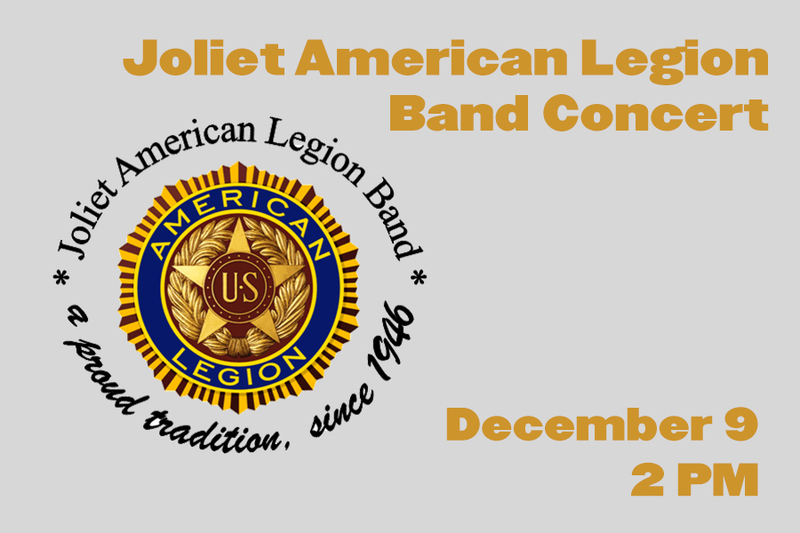 The Joliet American Legion Band will bring the sounds of the season to life on the Rialto Square Theatre stage. Enriched in tradition, military sharpness and musical integrity, these musicians are delighted to bring you an unforgettable performance with their tremendously rousing musical spirit. A ticket is free in exchange for one non-perishable food item. Food donation/ticket exchange will be at time/dates to be determined. Find out more at https://rialtosquare.com/event/american-legion-band-concert/. Multi-platinum, JUNO Award-winning vocal supergroup, The Tenors, comprised of Clifton Murray, Fraser Walters and Victor Micallef, blend classical music and contemporary pop to deliver powerful performances and outstanding harmonies for audiences around the world. Since 2008, The Tenors have sold over 1 million albums worldwide, performed more than 1,000 shows on five continents and made over 200 television appearances. 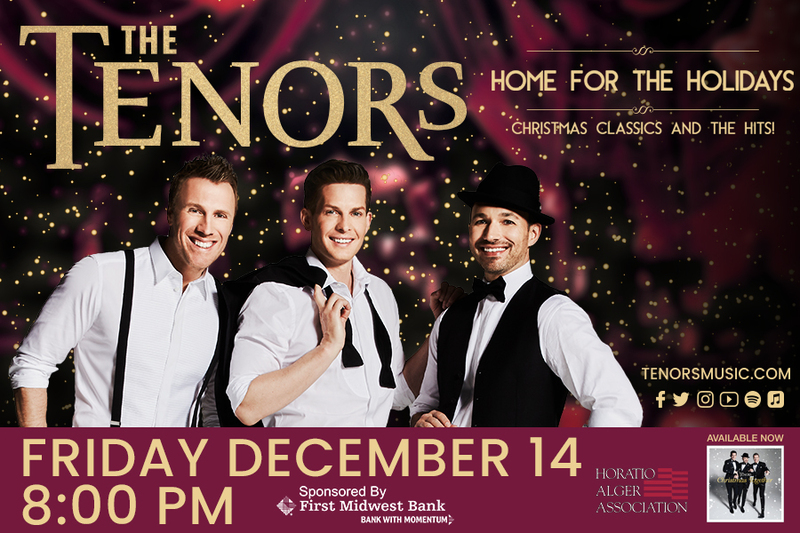 Find out more at https://rialtosquare.com/event/the-tenors-home-for-the-holidays/. BIG BAD VOODOO DADDY’S WILD & SWINGIN’ HOLIDAY PARTY! is a jumpin’ and jivin’ extravaganza featuring one-of-a-kind originals and reworked Yuletide classics in true BBVD style, with an energetic performance to be enjoyed by all ages. 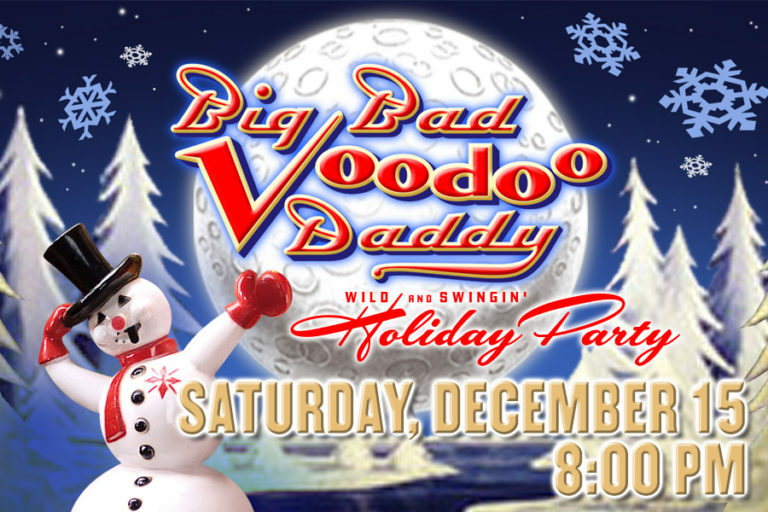 Find out more at https://rialtosquare.com/event/big-bad-voodoo-daddys-wild-swingin-holiday-party/. Don't miss this recreation of this Christmas tale live on the big screen! The Muppets perform the Dickens holiday classic, with Kermit the Frog playing Bob Cratchit, the put-upon clerk of stingy Ebenezer Scrooge (Michael Caine). Other Muppets -- Miss Piggy, Gonzo, Fozzie Bear and Sam the Eagle -- weave in and out of the story, while Scrooge receives visits from spirits of three Christmases -- past, present and future. They show him the error of his self-serving ways, but the miserable old man seems to be past any hope of redemption and happiness. Find out more at https://rialtosquare.com/event/the-muppet-christmas-carol/. In five short years — from 1997 to 2002 — they'd sold a staggering 10 million records, scored a chart-topping single, “Thank God I Found You,” with Mariah Carey and Joe, and collaborated with their collective idol, Stevie Wonder, on “True to Your Heart,” for the 1998 animated Disney film, Mulan. Find out more at https://rialtosquare.com/event/98-at-christmas/.